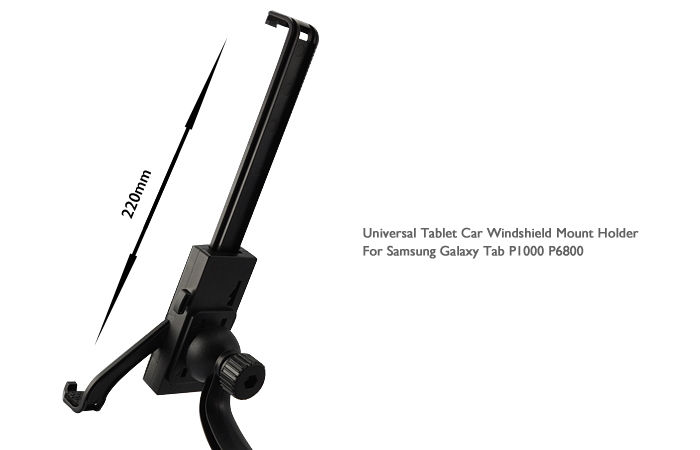 Universal Tablet Car Windshield Mount Holder for Samsung Galaxy Tab P1000 P6800, Gadget Stop - For all of your phone and Apple needs! 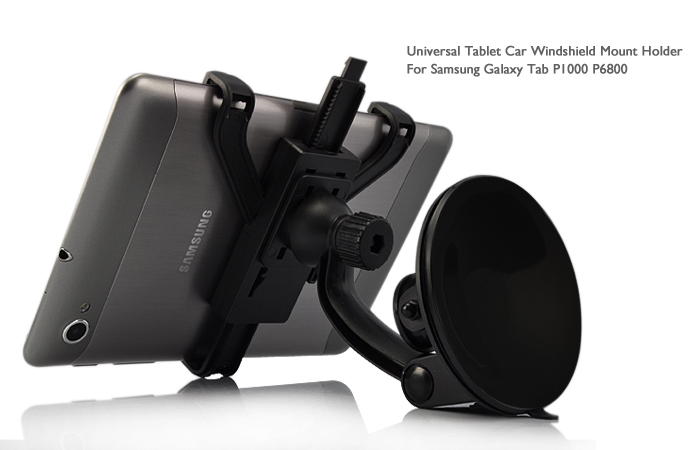 Easily install your tablet onto the universal car holder's cradle clips, connect it to the 360°rotating knob, adjust the angle and then simply press the suction cup clip. The installation is done. 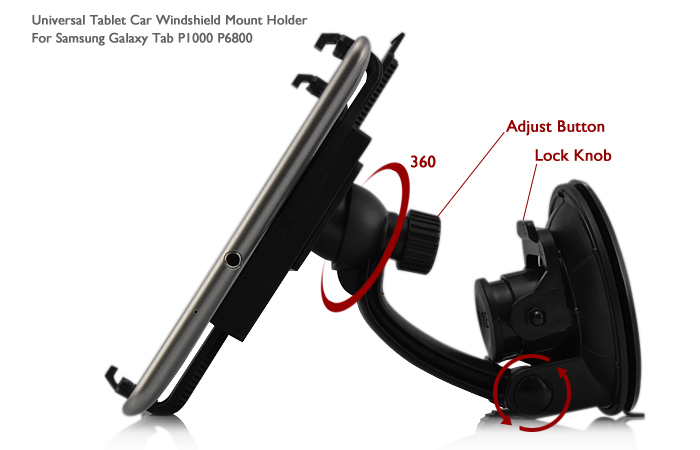 This car mount has quite thoughtful designs. The cradle that holds your device is padded with soft rubber, on the middle support and 3 clips (claws). 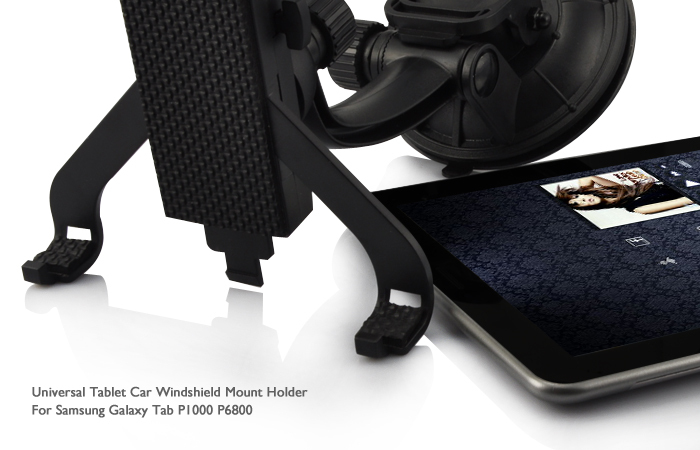 This helps protect your tablet, GPS or DVD from shocks and scratches. Also you can use your device in portrait or horizontal orientation. Length of the middle support can be adjusted to fit your device, which extends from 10cm to 21.5 cm (counting the distance between the lower claw and the upper two claws). 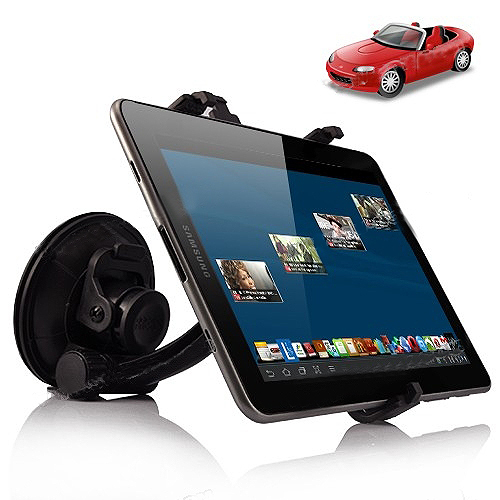 Brand New High Quality Universal Car Mount Holder for Samsung Galaxy Tab P1000 P6800. Cupule (suction cup) with fast release clip. Easy to install. No extra tools needed. Easy to use. 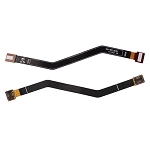 Can be mounted on the windshield or panel of car. Accessory only, tablets not included!